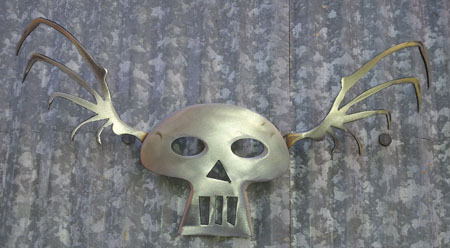 All artwork is designed and made BY ME in Saint Croix Falls, Wisconsin! Please enjoy! All artwork is designed and made David N. DeMattia in Saint Croix Falls, Wisconsin! Please enjoy! 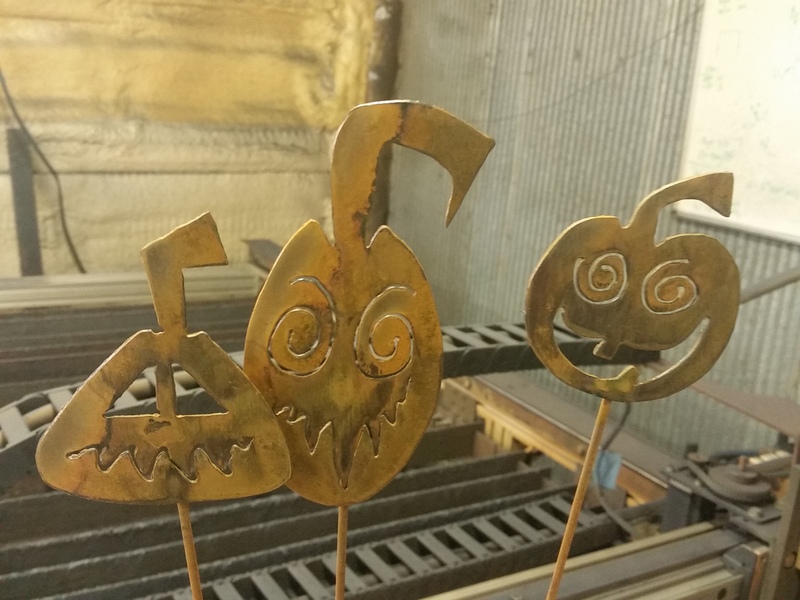 Small Pumpkin Sticks – Set of THREE unique pumpkins on 2 foot sticks. 6 pack of metal Bats on 2 foot sticks. 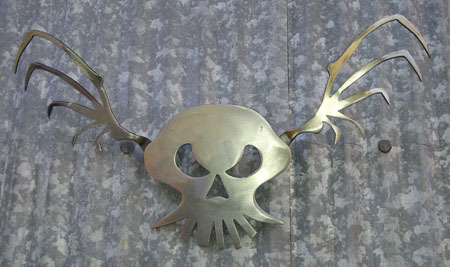 Bat 3.5″ x 1.5″ on 2 foot steel stick. 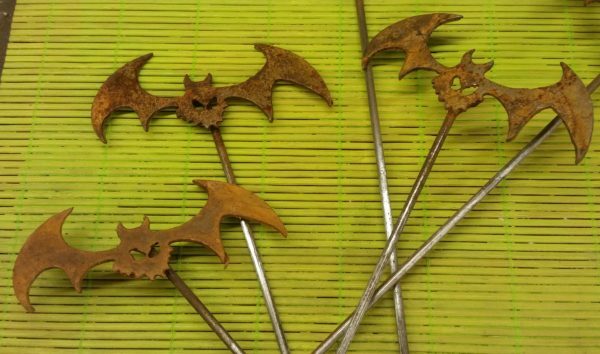 The bats are plasma cut out of steel, MIG welded to two foot sticks then soaked in a special super secret vat of “Rusty Juice” for a unique patina. 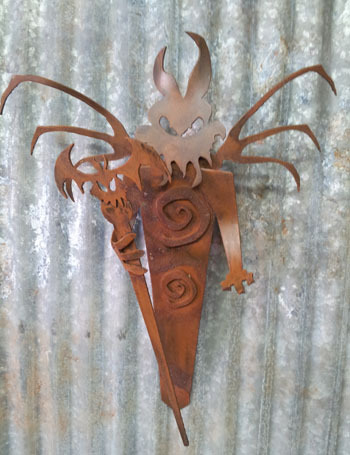 Bringer of Darkness is wall hanging and 12″ tall. 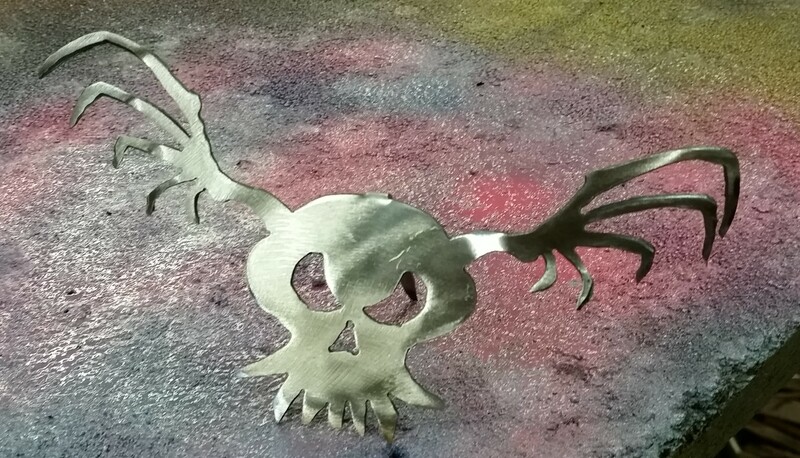 The Bringer of Darkness sculpture is plasma cut out of steel, welded together then hand bent into it’s shape. Finally, a finishing soak in the “rusty juice” to give it it’s patina and a light coat of Lacquer to seal in the goodness. After I am satisfied with my pencil sketches, Stacked Pumpkin Stick is then hand drawn in Adobe Illustrator to refine the design. 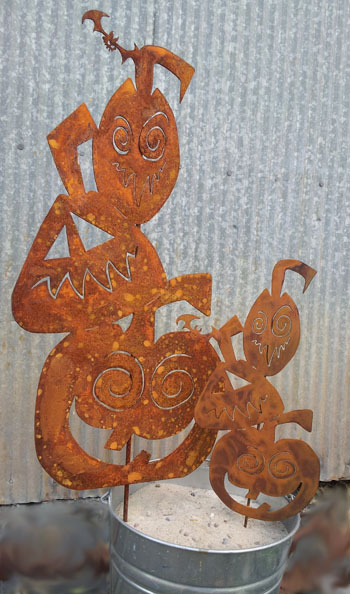 The pumpkins are then plasma cut out of steel, MIG welded together then soaked in a special super secret vat of “Rusty Juice” for a unique patina. I then put a few light coats of Lacquer to seal in the goodness. 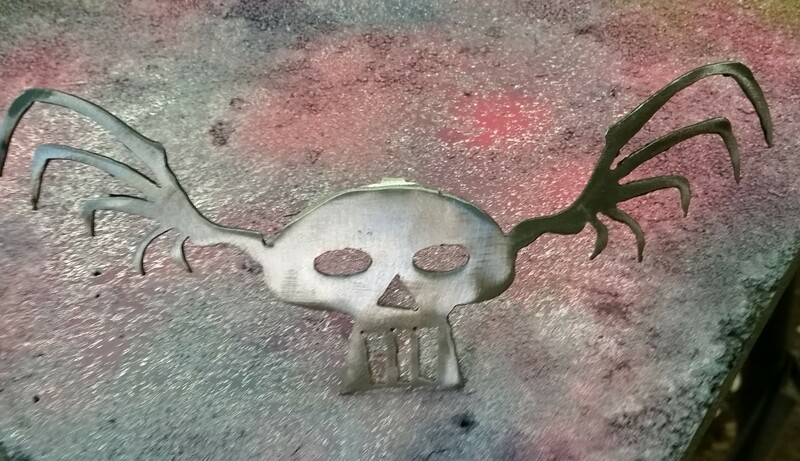 Each skull is made of plasma cut steel then carefully ground to reveal the steely goodness beneath! A coating Lacquer is applied to help keep in the evil. 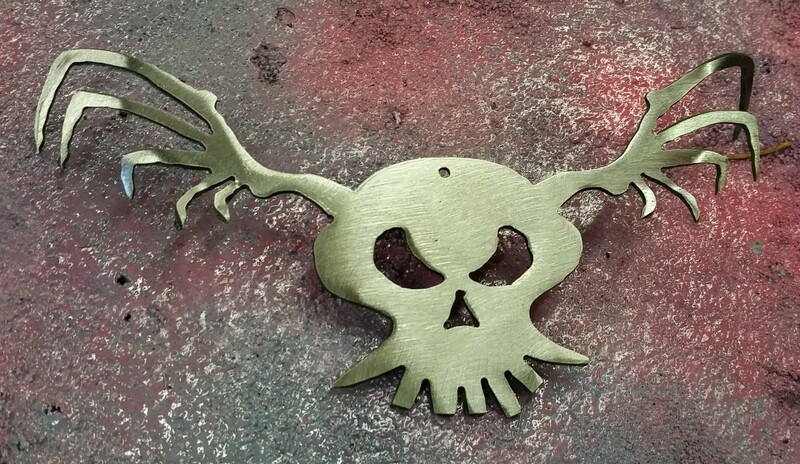 Each skull is made of three plasma cut pieces welded together (two wings and skull) then carefully ground to reveal the steely goodness beneath!